Experience with us the mystical side of the city. Guided tour of the City’s museum and it’s permanent display called “Quarrels, punishments and superstitions”. Tickets available at the start of tour or by paypal or by making the payment directly to our account. Thanks to the interactive elements, original content and expert presenters, our participants are always satisfied and inspired. 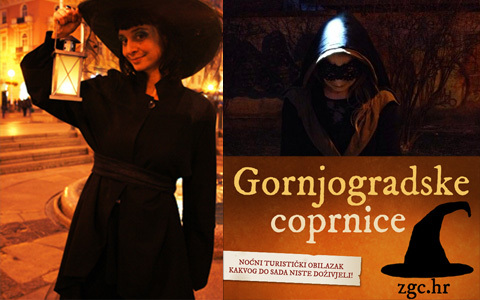 The Upper town witches tour takes you through the Upper town and its interesting locations with a costumed guide. Through our fun program, get to know the “dark” side of the city from the Middle ages onward. We combine the legends about witches, real practices and historical events that stand behind them. You will have the opportunity to experience the practice of our modern witch “on your own skin”. This is not just a tourist tour, but an outing into the city’s history that surprises.